There are no tours currently being held. This service belongs to the company Tabi no Recipe (株式会社たびのレシピ). Tabi no Recipe holds all responsibility for any matters regarding this service. Welcome to UNPLAN original bus tour! 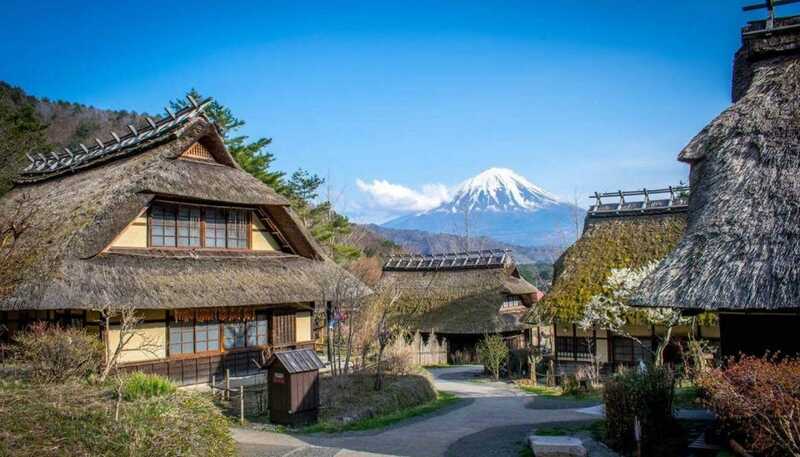 The Photogenic Mt.Fuji Bus tour will depart from UNPLAN Kagurazaka and will make ways to four of the best locations to capture the world heritage site in Yamanashi Prefecture. Great opportunity to meet other travelers from around the world!! A park with an excellent view of Mt. Fuji. It is also a famous cherry blossom viewing spot, where the most famous Japanese cherry blossom, the Someiyoshino, blooms in the spring. Pagoda and temple allows you for authentic Japanese experience. 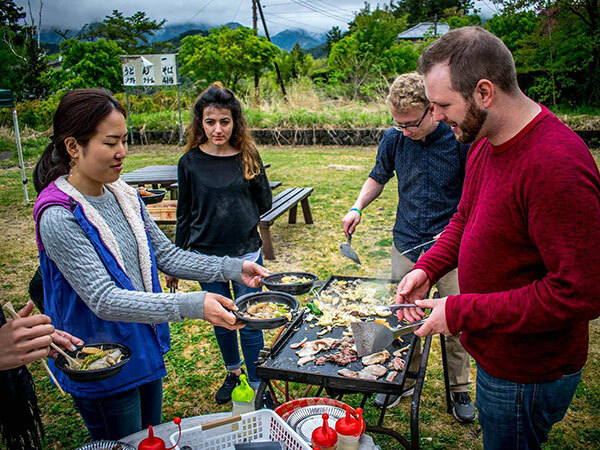 Vegetable, meat, Yakisoba (fried noodle) are all available at the BBQ by Lake Kawatuchi. Guests will prep meals together and have the opportunity to mingle with others. Please let us know beforehand if you have dietary restriction. Iyashi no Sato stands on the site of a former farming village on the western shores of Lake Saiko. 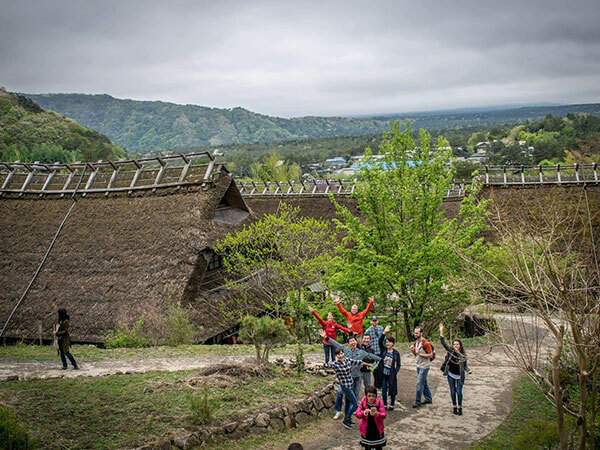 Currently it is open to the public as open air museum and traditional craft village where people can learn about the culture and try out and purchase various local handicrafts. 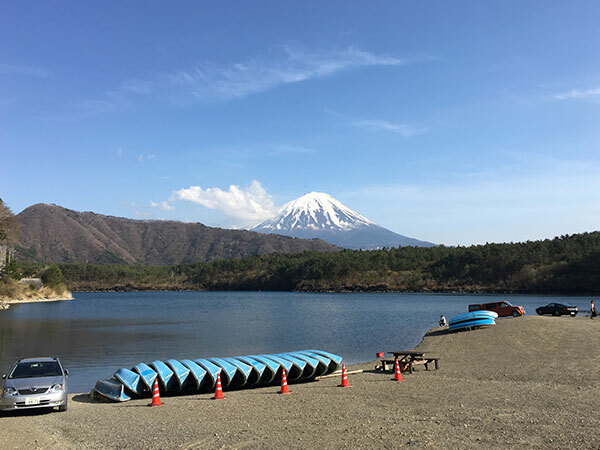 As one of the five lakes around Mt.Fuji, you may capture beautiful view of the mountain from Lake Saiko. The last stop may change depending on the season. Discount available for in-house guests. Please add your coupon code at the end of payment process. General roundtrip bus ride from Shinjuku to Mt. 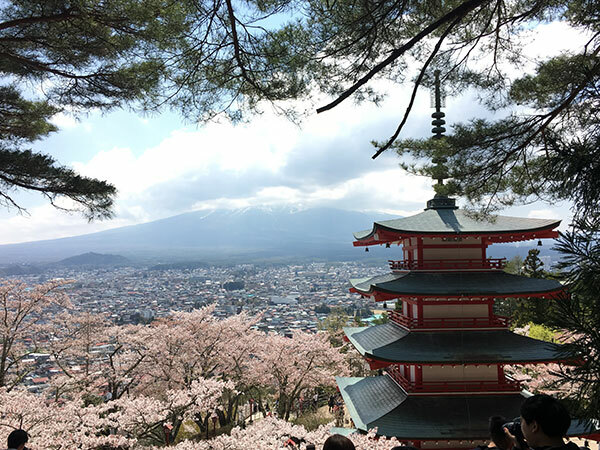 Fuji on average is 5,400JPY excluding any excursions. Please come to UNPLAN Lounge on the 1st floor at 8:30am.